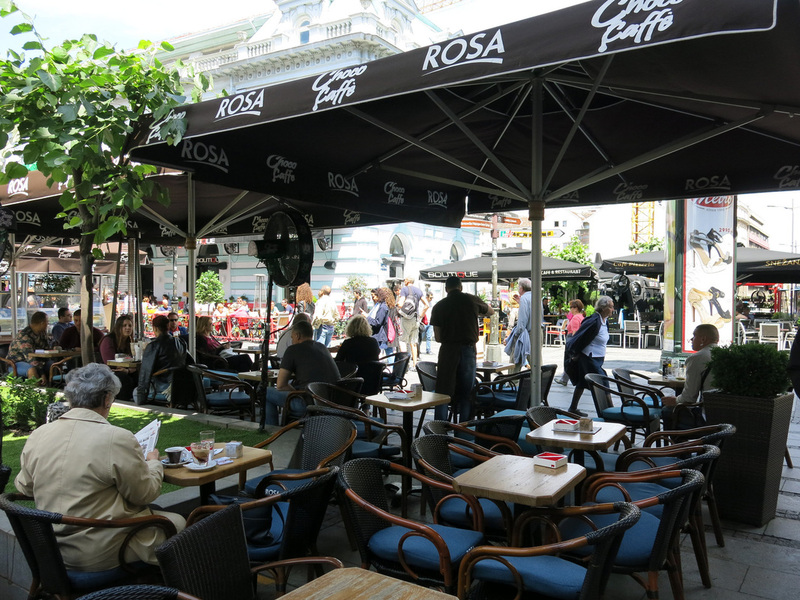 The starting point for discovering Belgrade is Knez Mihailova Street, a pedestrian shopping and dining street that cuts through the Old Town area. On a sunny weekend day you need to keep your eyes peeled for a seat at one of the cafes to open up. Knez Mihailova starts at Republic Square a large public gathering space. 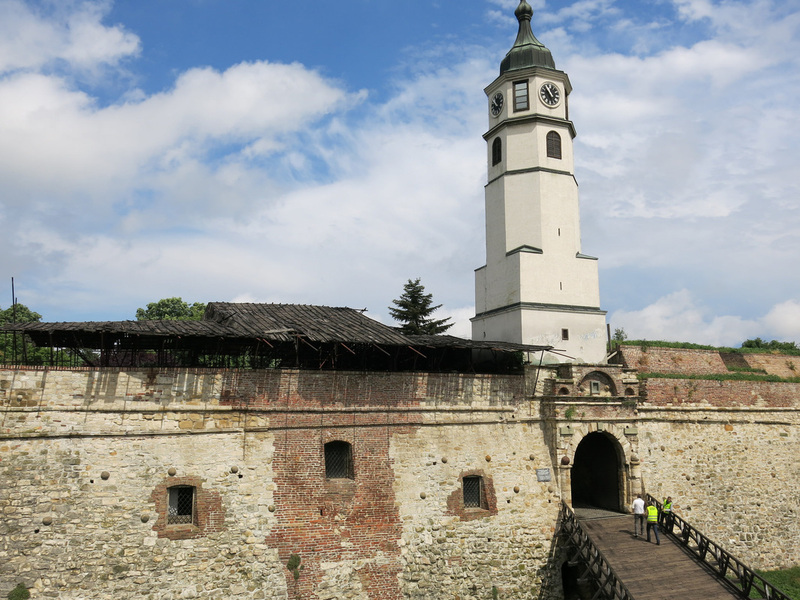 At the far end of Knez Mihailova is Kalemegdan, Belgrade's fortress complex. Today the fortress serves as a public park rather than defense system. Once I passed through the main gate and under the clock tower there wasn't much in the interior that was reminiscent of a fortress. There was a city festival taking place on the fortress grounds - purchasing an entrance ticket also included a free beer - a nice welcome to Belgrade. 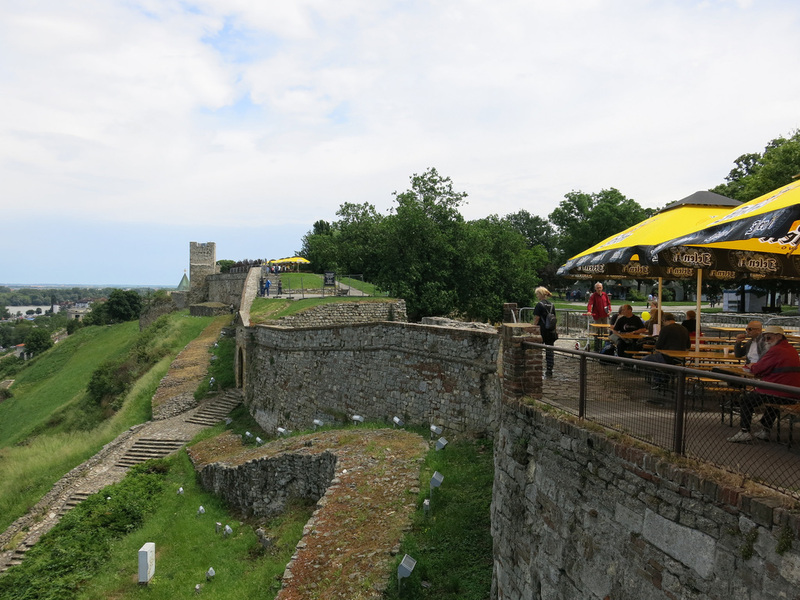 There were good views of the Sava and Danube rivers on the backside of the fortress. 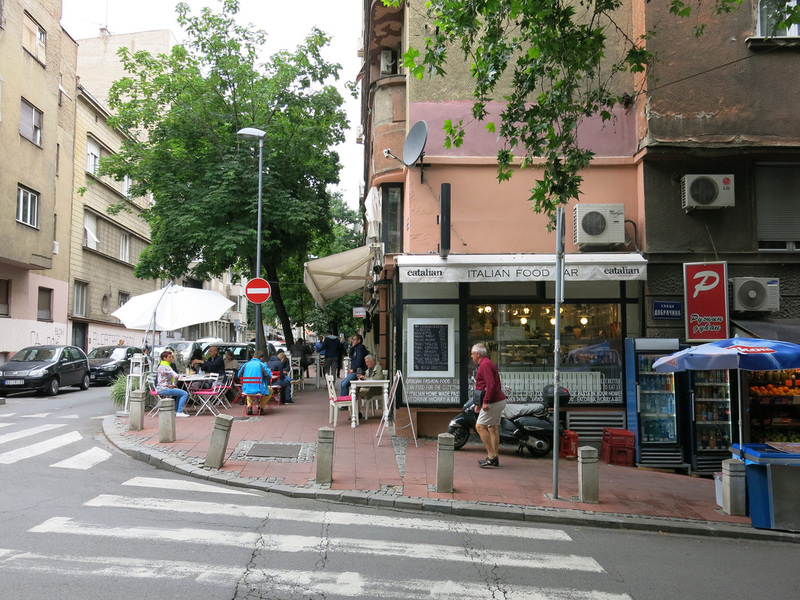 As appealing as the Knez Mihailova stretch is I think it's the local cafes and bars that are a unique and distinguishing feature of Belgrade. 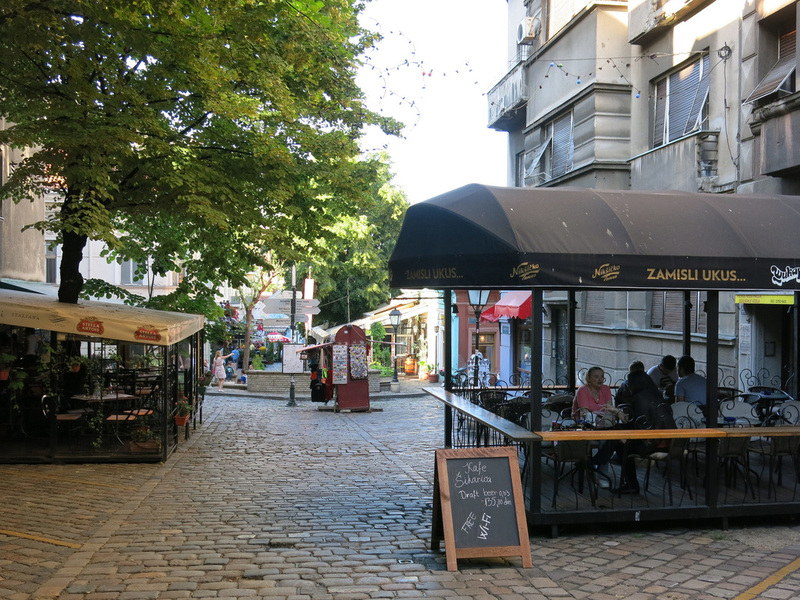 The city lacks parks and there's not any single concentration of these outdoor restaurants although it didn't take much wandering to stumble across them - particularly in the area northeast of Knez Mihailova. These had a very local neighborhood feel. I grabbed a beer at Walter Sarajeski Cevap. 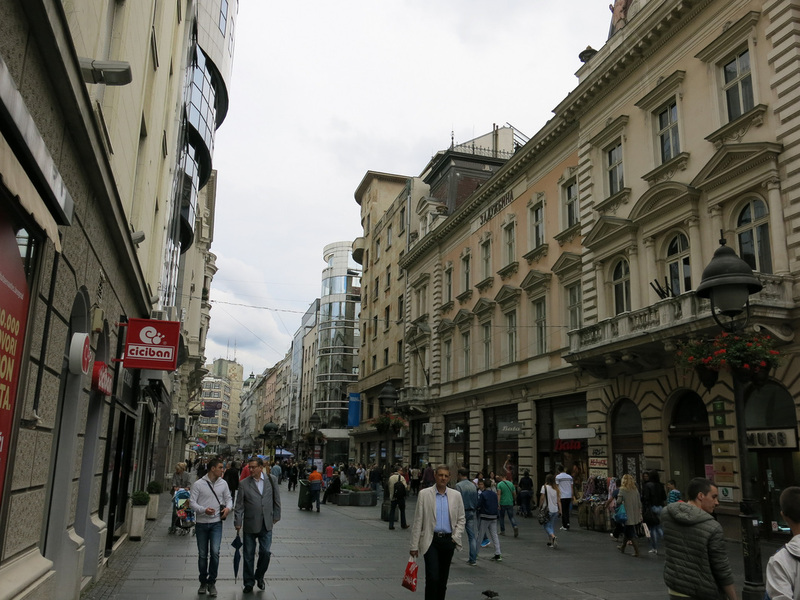 Back up to Republic Square and a few streets over is Skadarlija, Belgrade's Bohemian pedestrian street. Restaurants offering local cuisine and cafes line this cobblestone street which on the surface caters to a heavy tourist crowd. 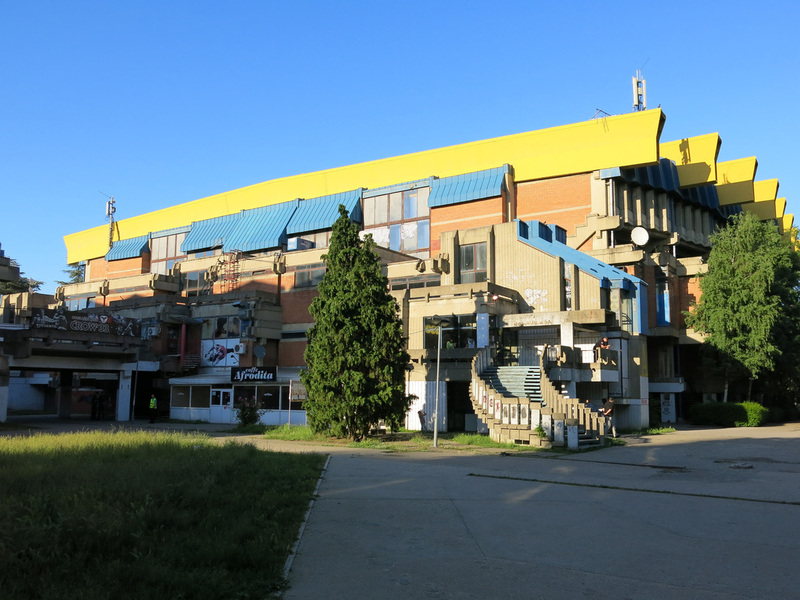 A stark contrast to Skadarlija is the Dorcol industrial area. 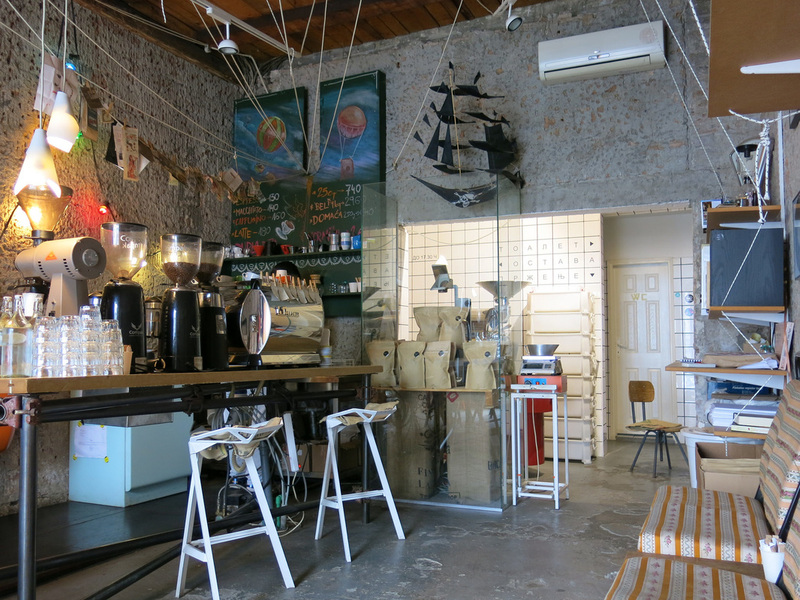 Belgrade has not missed out on the hipster movement of the past few years. Throughout its neighborhoods “concept” stores, restaurants, cafes, and bars have opened. These commercial establishments are as much about the architecture feel and design as they are about the actually products sold inside. 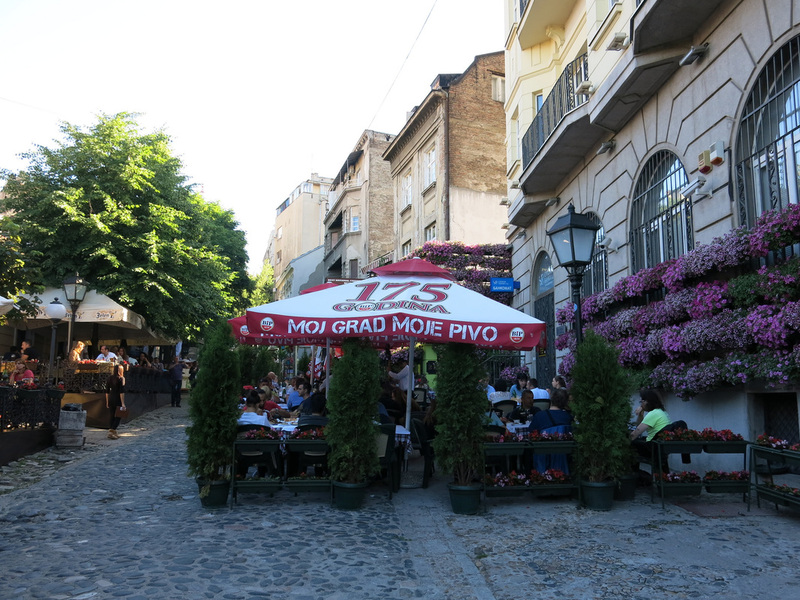 I went to Pržionica, a coffee shop in the Dorcol section. Minimalist interior but the coffee was a bit too “busy”. Too much flavor. Next door to Pržionica is Radionica a similarly designed restaurant serving a mostly Western, with some Eastern influence, menu. 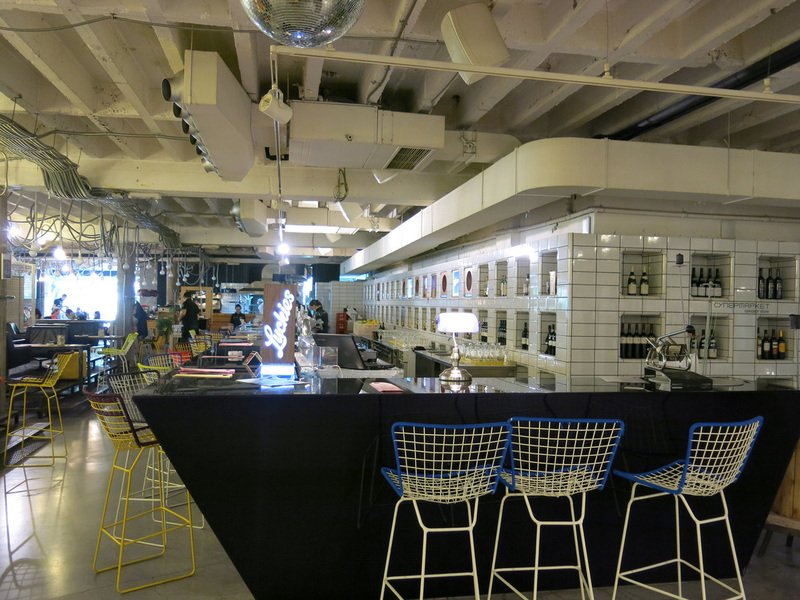 Closer to the Old Town is Supermarket, the concept store that started it all. Opened in 2008, Supermarket is well a Super Market. 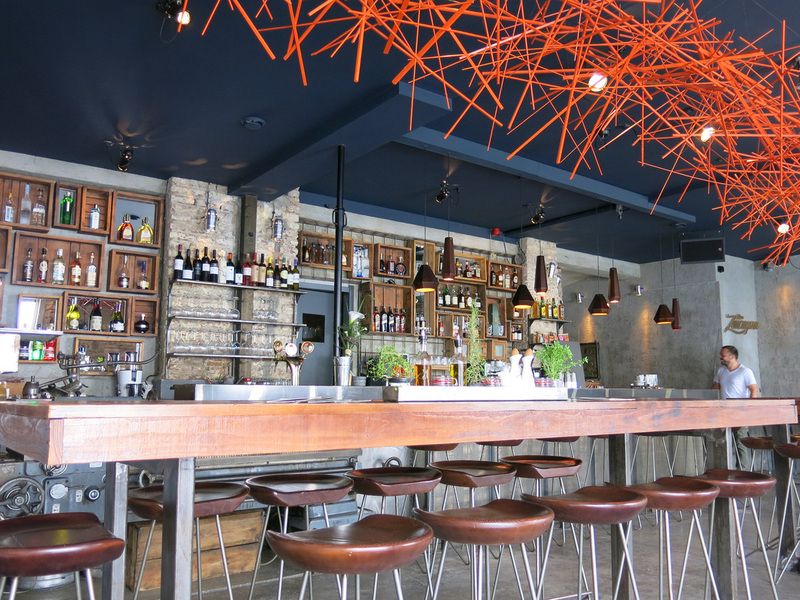 About a third of the space is dedicated to a restaurant and outdoor patio area. The rest of the market is designer goods - clothes, kitchenware, etc. On weekends they serve an American style breakfast and offer an arts and crafts section for kids - all future designers I presume. 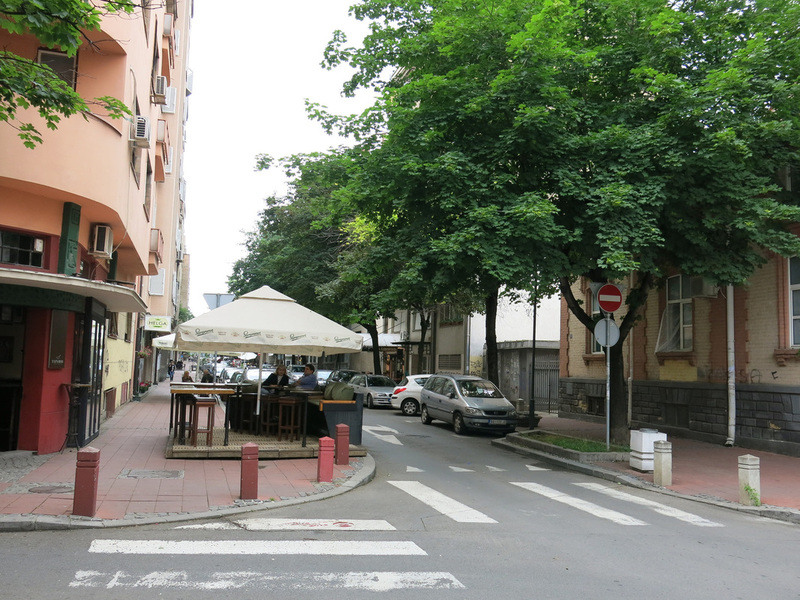 I used a blog post from Still In Belgrade as my guide of the design bars and restaurants. 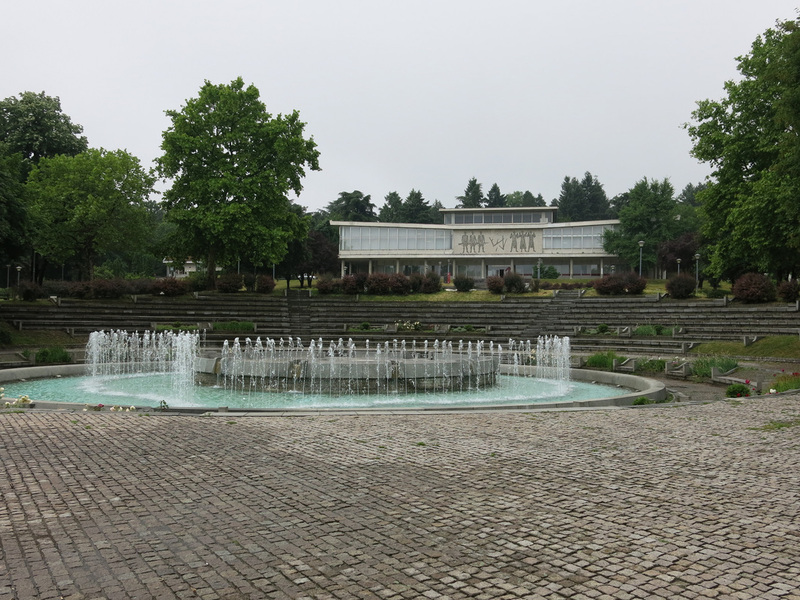 I checked out the Museum of Yugoslav History - I was curious how Serbians would address the dissolution of Yugoslavia and the first years of Serbia's history. Instead of a whitewash the Museum did not address or cover anything after the death of Josep Tito Broz. 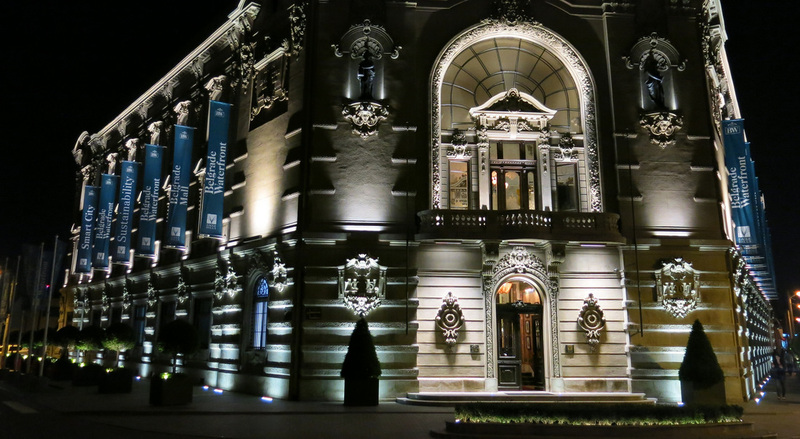 The Museum focused on Tito's actions as a benevolent dictator who lead Yugoslavia through WWII and into and economic and cultural power by the 1970s. A film showed adoring domestic and international audiences celebrating Tito. On the walk back to the Hostel I made a stop at Hram Svetog Save, a construction in process church that when completed will be the largest Eastern Orthodox Cathedral in the world. 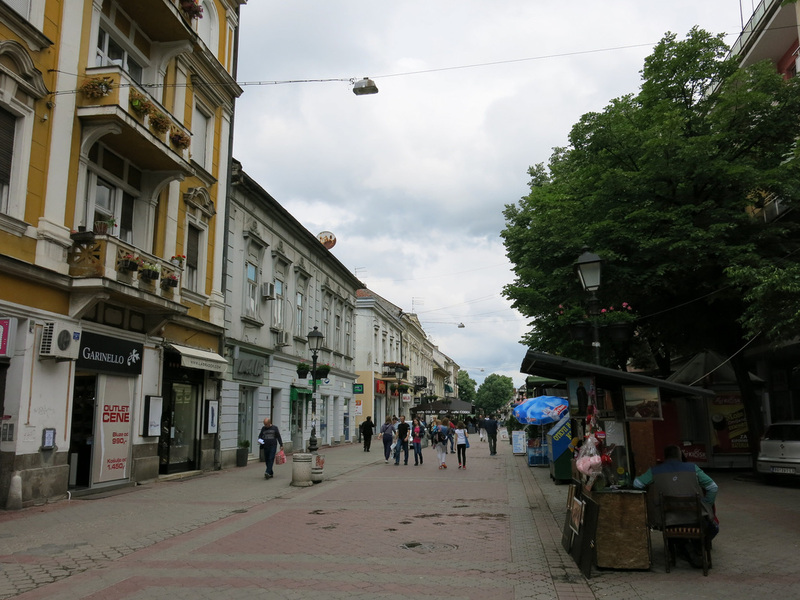 A fifteen minute public bus ride west of Belgrade is Zemun, which has another historical core Old Town area. 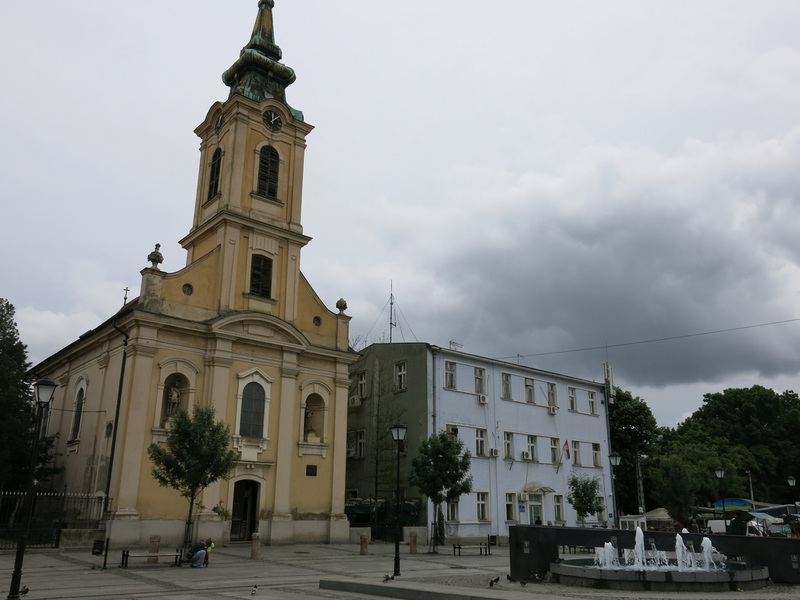 There's a small pedestrian street that leads to a square and a large church. From here it's a short walk to the waterfront and several cafes / restaurants. 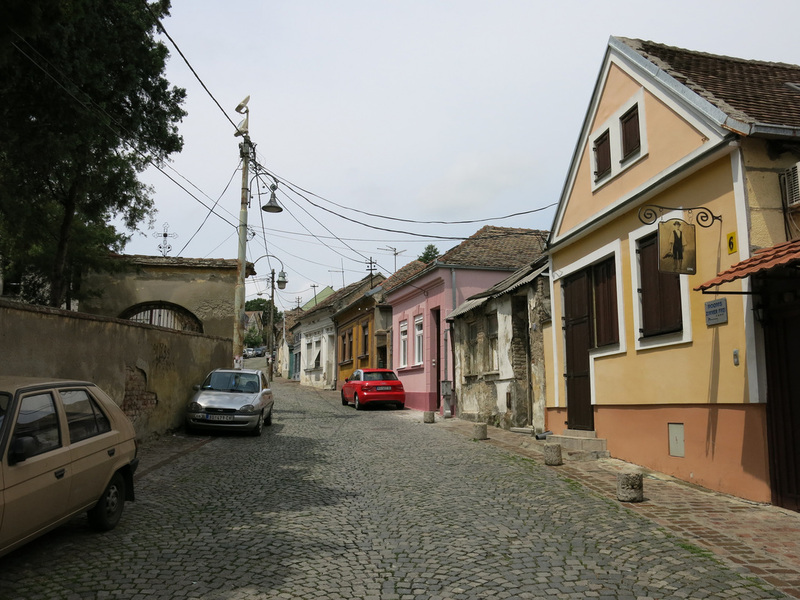 Historical homes are situated along cobblestone streets. 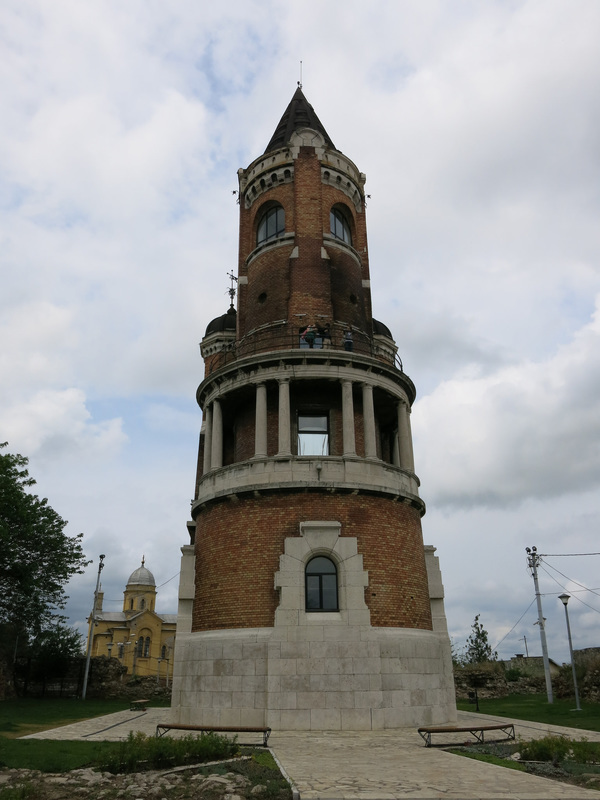 I walked up Gardos Hill and paid the 200 LEV to climb the stairs of a church tower. 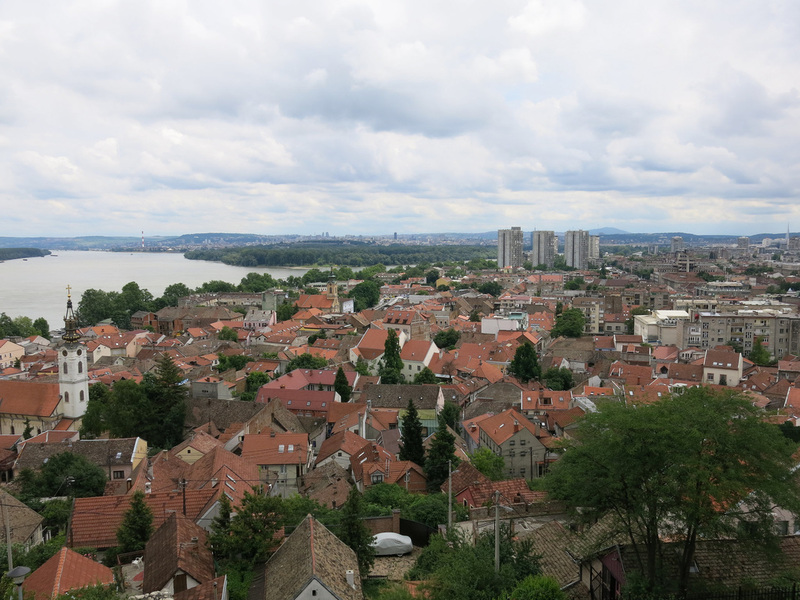 From here there were great views of Zemun and Belgrade. This view shows that church steeples still dominate the city's skyline. 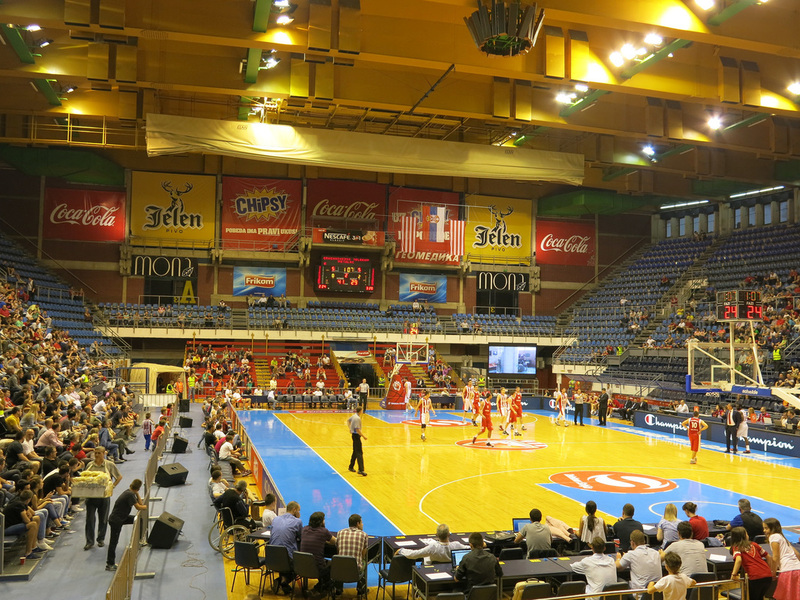 One evening I went to Pionir Arena to watch Serbia's top basketball team, Red Star Belgrade obliterate an inferior opponent. For less than $6 I was able to purchase a court side seat behind the basket. Opening warmups consisted of lots of team stretching as Eastern Europe Rock Ballads blasted over the loudspeaker. I wasn't sure if the main event would be a basketball game or a rematch between Rocky Balboa and Ivan Drago. The game started fast with a barrage of three pointers by both teams. Then Red Star Belgrade started playing defense and their opponents stopped making as many shots. Marcus Williams, a former UConn point guard, was in Red Star's starting lineup and was probably there best player. The team featured two tall perimeter players who could hit set shots but struggled creating on their own. The only player with real potential the 7' 4" Red Star center Boban Marjanovi. Beyond the size he seemed a bit whimsical and lacked discipline. He was definitely a fan favorite and the crowd was the noisiest when he hoisted a long range three (it significantly missed). Other than that the crowd was subdued. After the first two minutes of the game Red Star seemed to be in cruise control playing with a ten point lead. I left at halftime and walked past about ten police wearing riot gear and helmets - I guess the fans aren't this subdued at all games. 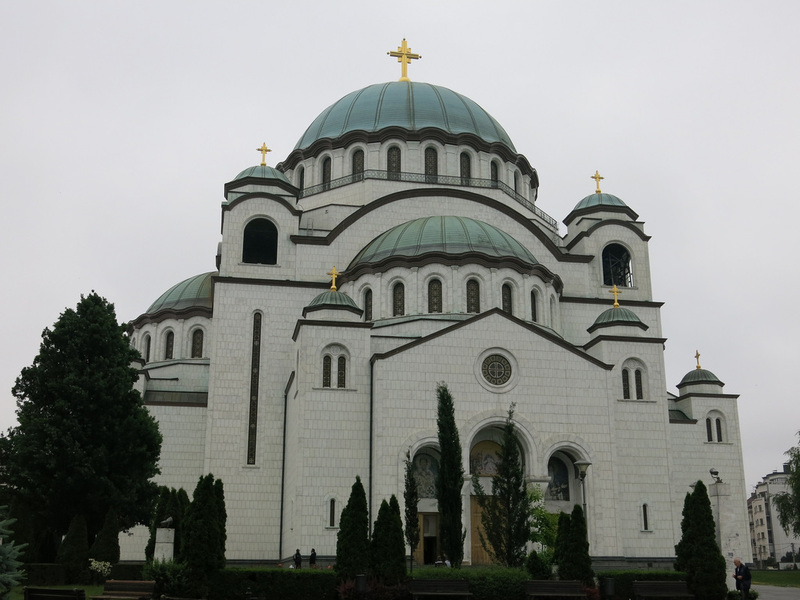 For additional Belgrade photos see FLICKR ALBUM.